The complete (and more concise) version appears on Bloomberg View. So how much taxpayer money, would you guess, did Warner Bros. Entertainment Inc. need to produce the films based on the J.R.R. Tolkien book? The answer is zero. The studios are investment companies, and the films are almost certain to be immensely profitable. But now you aren’t thinking like a studio. The real question is: How much taxpayer money can Warner Bros. demand from the government of New Zealand to keep production there (rather than, say, in Australia or the Czech Republic)? That answer turns out to be about $120 million, plus the revision of New Zealand’s labor laws to forbid collective bargaining among film-production contractors, plus the passage of three-strikes Internet-disconnection laws for online copyright infringement, plus enthusiastic and, it turns out, illegal cooperation in the shutdown of the pirate-friendly digital storage site Megaupload and the arrest of its owner, Kim Dotcom. 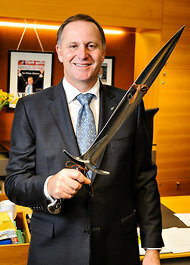 For keeping Warner Bros. happy, Prime Minister John Key, a former Merrill Lynch currency trader, got a replica magic Hobbit sword from U.S. President Barack Obama and a chance to hang New Zealand’s fortunes on becoming the tourist destination for Middle Earth enthusiasts. What could go wrong? Regular readers may recall our series on the absurd growth of US state subsidies for Hollywood, The War Between the States (to Subsidize Hollywood) Tetralogy–subsidies that went from near zero to $1.5 billion dollars in the past decade. Or our equally epic series on international film subsidies, The European Strategy Trilogy: Send Money to the US, in which we charted the depressing European race to shower money on studios to attract (and once attracted, retain) highly mobile international productions. We observed that this was one of the few terrible public policy innovations to come out of Canada (remember all those Toronto as New York movies from the late 1990s?) 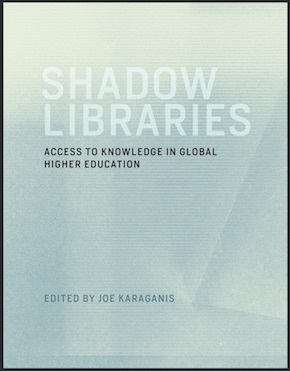 And we suggested that a cultural-policy-friendly solution to this form of corporate welfare might be to treat public subsidies as conditional loans rather than gifts–subject to repayment within the typical horizon of commercial exploitation of the work (say 5 years) or, failing that, re-release under a Creative Commons license. 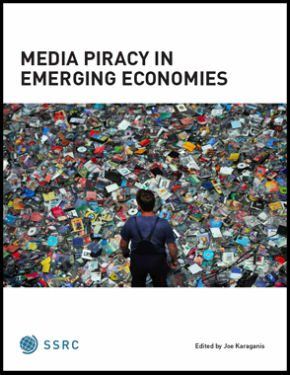 We noted that this would address the problem of subsidizing blockbusters while retaining support for less commercially-oriented productions, and that this might be just the thing to restore the competitiveness of European cinema in global markets, where European studios face byzantine licensing barriers and lack the economies of scale of Hollywood. So now we come to The Hobbit Trilogy, which, if it tracks the performance of The Lord of the Rings Trilogy, will gross somewhere in the vicinity of $3 billion. Taxpayers have reportedly shelled out more than NZ$500 million in the past decade subsidising Hollywood productions like Sir Peter Jackson’s Lord of the Rings trilogy. The Hobbit is expected to snare as much as $60 million [~US$50M] in subsidies. Hollywood Studios have pressed the Government to raise the subsidies even higher – and Hobbit director Sir Peter Jackson reiterated that call yesterday. Prime Minister John Key suggested that was unlikely, but said the Cabinet would be looking at extending them to television productions. The Hobbit had created 3000 jobs, he said. But Dr Norman [Green Party c0-leader] said there needed to be a cap on the cost of producing those jobs. If 2000 jobs were created over a year at a cost of $100 million that was a cost of $50,000 a job. “If the Government is willing to pay $50,000 a job for a Hobbit job, it does beg the question why they won’t give any support whatsoever to the manufacturing sector and are happy to see us lose tens of thousands of jobs there and do nothing about it. It’s a reasonable point, since most of those jobs are short term and low end. The high earners live elsewhere. How are these types of deals sealed? With toys, at the highest levels. Prime Minister John Key proudly brandished an ornately engraved sword. It was used, he said, by Frodo Baggins, the protagonist of the “Lord of the Rings” trilogy, and in the films it possesses magical powers that cause it to glow blue in the presence of goblins. “This was given to me by the president of the United States,” said Key, marveling that President Barack Obama’s official gift to New Zealand was, after all, a New Zealand product. Sounds fun. I wonder where Obama got the sword. And was it the only part of the deal? Not likely. 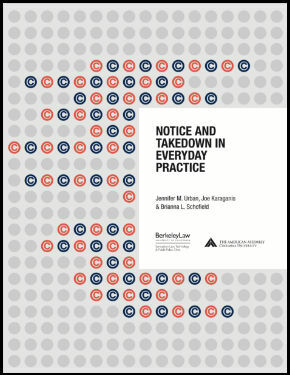 In 2011, New Zealand passed the worlds second 3-strikes law for disconnecting copyright infringers (the only case to go to a tribunal, so far, was dropped in October.) In early 2012, New Zealand special police forces raided Kim Dotcom’s mansion in the course of the US takedown of Megaupload–the well-known cyberlocker site. In 2012, Key was later forced to apologize to Dotcom for the illegal government spying that preceded his arrest. All of this is part of a not-so-secret effort to sell New Zealand to Hollywood, and to Peter Jackson in particular. That’s the strategy Key’s government has pursued. The making of feature films and television shows generated only about $1.1 billion in revenue last year, well under 1 percent of a gross domestic product of roughly $160 billion. About 17 percent of movie and television revenue is directly subsidized by the national government, which spent nearly $200 million to support movies last year. But tourism is an economic sector 20 times the size of the country’s movie and television production business. And as other countries, notably China, have moved into some of New Zealand’s core dairy industry, the Kiwis, a particularly inventive people, have focused more on the vacation market. In an unusual arrangement, Key, a former currency trader with Merrill Lynch who did graduate work at Harvard, retains a portfolio as his government’s tourism minister. Scratching for solutions to the 2010 crisis with unions over “The Hobbit,” he settled on a policy that would, in effect, use much of the tourism budget to re-brand the country as Middle Earth, hoping to lure visitors to locations where Jackson has shot and is shooting his films. A sketchy bet cooked up by a Merrill Lynch trader. What could go wrong? [Jackson] disagreed with the notion that New Zealand’s film industry rested squarely on his shoulders. 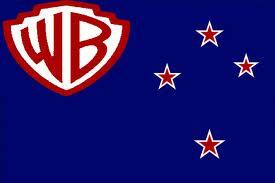 Warner Bros, a first-time nominee for the inauspicious award, took out the top prize due to the “extraordinary example of transnational capital interfering in local politics, and overtly influencing the actions of the NZ Government”, the judges said. “It was an overt display of bullying that humiliated every New Zealander,” they said, adding that such interference in New Zealand politics “sets a precedent for all future negotiations between the New Zealand Government and transnational corporations”. The Government, and specifically Prime Minister John Key, were awarded the Accomplice Award for their “ignoble role in the whole Warner Brothers/Hobbit affair”, the judges said. The judges announced a special Quisling Award for Sir Peter Jackson, for his role in the affair as the individual who did the most to facilitate foreign control of New Zealand. 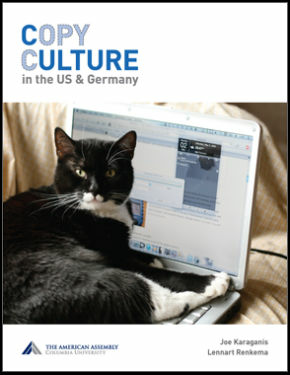 Still, it’s not all slavish obedience to Hollywood down under. NZ trade negotiators aren’t happy with the US-led effort to ramp up international IP enforcement standards in the new Trans-Pacific Partnership Agreement. NZ judges aren’t happy with the US Department of Justice’s apparent railroading of Kim Dotcom. The TPPA negotiations are underway in New Zealand and under fire from local critics. No one doubts that New Zealand did very well from the Lord of the Rings and will probably do so again from The Hobbit. And no one should doubt that the minute Warner Bros can cut a better deal elsewhere or just do it on green screen, the New Zealand film industry will be left high and dry. So what to do about this? For individual countries or states, it’s a race to the bottom. Solutions need to be collective. And as it happens, there is such a collective agreement under negotiation: the Trans-Pacific Partnership. Brave Hobbits/NZ trade negotiators, even the smallest can change the world. Roll up the agreement, stick a kiwi feather in it, and cast your Expecto Patronum! 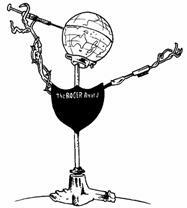 Free Regular Earth from the tyranny of Middle Earth.